Yureka comes under the recycled card board box. Note : Since, this is the review unit so following things are not available which will be available in the actual retail unit. 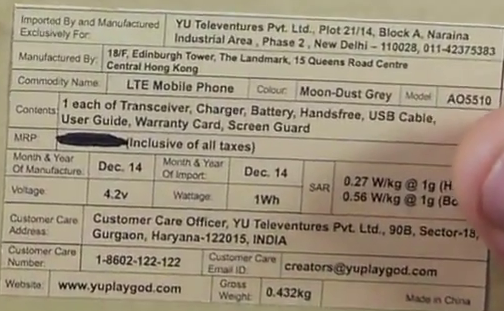 User Guide, Warranty Card, Screen Guard.